iPhone 4 in India soon, but at what price ? iPhone 4 is right now the talk of the town – The slimmest Smartphone with highest resolution display phone is coming to India through Vodafone as per their latest press statement. However, no other details are published yet on their website. 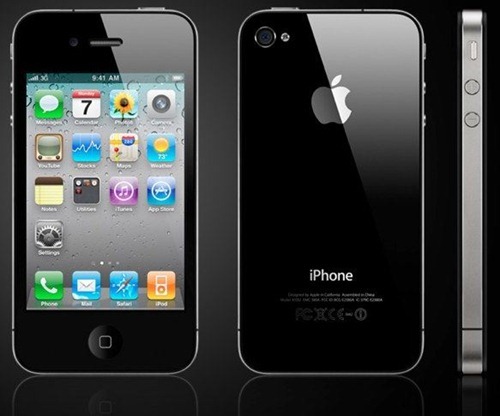 It is expected that iPhone 4 may come to India as early as next month (July 2010). At what price will iPhone 4 be available in India ? Even during the launch of iPhone 3G everyone was quite excited, but went on to become a damp squib thanks to astronomical pricing. So, let us play some guessing game and see what price tag we should expect on Indian iPhone 4. In India iPhone 3G was launched by Vodafone & Airtel between 35k to 40k with not many takers. Infact, iPhone 3G was a big flop in India. On Ebay, iPhone 3G/S model goes for roughly 32k to 33k. Considering the iPhone 3G price point, we will have to assume that iPhone 4 will surely come with some sort of premium. This is my personal guess – iPhone 4 (16GB) will cost around 40k – 42k, while the 32GB model be closer to 50k price point. Would be interesting to hear your guesses on iPhone 4 price point in India – Come on…take a guess ! WOW ! FIFA World Cup broadcast in 3D, but not for Indians as yet ! I have a brand new I phone 4 s from U.S , sealed in a box. it’s white in color and is 32 GB. I had bought it for a friend who does not want it any more. I am leaving for U.S by 20th of dec. Anybody who is interested in buying it can e-mail me. I will take any reasonable price offered. Is it factory unlocked or locked???? I like Iphone And Nothing else soo I want one. Can anyone giftt it to me on my bday please :P lol. i wanna buy iphone 4s , when will it availabe in india? price? Nilesh, I have an brand new one sealed in a box…but it is still locked as I bought it from U.S. Are you still interested? I can sell it real cheap as I am leaving for US in few days. it’s 32 GB. product obsolescence for pretentious fks? If Iphone4 is available with no contract in india at all, then why only Airtel and Aircel are providing the same? why not apple itself? i have 100 pieces of iphone 4(32 GB) available in both white and black colour . it is factory unlocked n brand new phone , never touched and operated and seal packed too ..i am offering 29000(indian rupee) if anyone interested can contact me to the contact given below ..
free ah kudu tha kooda vanga mataen. ithuku nan oru dell laptop eduthukuvean pongada polapathavangala. I won't but no many. GUYS if you want all the updates on iPhone jailbreak and unlocks kindly visit iPhoneviki.com…..you can even buy iPhones through this site in INDIA….! The price of iphone 4 should not be more than Rs.14000 for 16GB and Rs.16000 for 32 GB. At this price such a fantastic product will be a real hit in true sense of it. Otherwise at such astronomical prices as mentioned by others it is sure to face the the same fate as iphone 3 in India. can anyone tell me what is the cost of iphone4 in US…the factory unlocked phone cost…phone with no contract. can i buy the non – contract phone from US and use it in India?????? I dont think you get non-contract iphone 4 in USA at the moment… If there is, you wont have a problem using it in India. does it operate in India well then?? ?its an unlocked phone?? ?does it crack in India…..
1) Yes it works perfectly fine in Delhi. I have been using it for past 2 weeks. 2) Yes its an unlocked phone. if i buy it from HK or US or Singapore then…the factory outlet unlocked phone then will be able to unlock it???? ?in India…coz in India its 40k and US it is 28k…so if i buy the phone in US i ll be able to crack it and use it in India ????? Manasi….You don’t need to unlock a factory unlocked phone…. Its already unlocked….. US one is locked (30k with taxes) and u still dont have any unlocking software till now…. Singapore is for 31k (factory unlocked) and 28k (factory unlocked) in hong kong… But I dont think it is available in Hong kong at the moment… So singapore is the best option. it is possible to crack the us iphone4 in india…i wanted to gift my bro with it. but not very sure that it craks or works with indian sim. I got iphone 4 unlocked for 31k. Go for unlocked one as unlocking s/w for the us iphone 4 is not available yet. jatin where did u get the unlock ph from for 31k????? hey jatin, where did u get the unlocked phone frm for 31k?????? Singapore… Or try Hong kong… I guess its was for 28k (INR) in hong kong… Its available in singapore, not sure abt HK. For Euro 500 to buy i-phone 4 would you buy a diamond jewelry or an I-phone ?. i-phone within one year will be outdated an new model will come something like iphone 5, while diamond ring will stay for ever and will increase in price with time. I phone is expensive in India, several top executives still cannot afford the price, they should lower prices and offer special economic status to India, In India anything low price would sell in Millions. If apple wants deeper penetration it should lower prices and make it affordable to average India, its Simple Math. is micro sim available in india for apple i-phone-4 ? i have purchased i-phone-4 from U.S.A does i-phone-4 works in india? comes with 1yrs apple care protection plan and 90days of seller warranty. btw i dont think that iphone would be priced sooo high……as the competitor android phones are priced around 30k or less…….so it would be between 30k n 40k……. at what price you have purchased i-phone 4 from us? is it works properly in india? how u have unlock that phone? it may b from 30 to 32 …; bcoz iphone 3g is great flop in india… so they study the indian market and reduce the price… if they still maintain that in 4o k plus…. again they need to face a big loss….. so if u want a iphone… buy from us and unlock it here…. i did that only… i unlocked iphone 4… and use it with vodafone with micro sim… enjoy!! you sir just gave me a great deal of happiness….was the us one an AT&T contract one??? pls let me knows as soon as possible….! a friend is currently there… pls hurry…and any issues after unlocking??? are u unlocked your iphone4? but where it is unlocked…..
what will be the price of iphone4 in india ??? hey if I buy an iphone4 from the US non contract and unlock it here, then will I be able to do software upgrades etc from here in India? If I purchase apple iphone 4 from US, then can I use in Dubai? Just had a look at it and shopyourworld.com is actually very reasonably priced. The iphone 4 sells 16GB for £499 and 32GB for £599 in the apple UK store. This website purchases from the main apple UK store and provides international warranty. I don’t think it’s available through any other means in India, and if it is, not even close to this price! I bought one from Ebay India and I bought iPhone 4 FU for 45K…you should better find some 1 from Ebay else wait for 1 more month and but it from Airtel …. hey brother i can get i phone 4 for u but plz tell me the real price in india….for this phone…i m in australia…. My reaction for the guessed price (If it is released with estimated price tag!!!) would a BIG Laugh…. Service Providers in India say that the phone call rates in US is around 25-30 cents (So the phone can be released at that price), but in India call rates is 1-2 cents (So the price of the phone is high). Though this argument is agreeable (Everyone knows that Call Rates in India is one of the lowest in the whole world), I doubt more than 1000-2000 Iphone4 being sold, if it is priced so high. But 45k for iphone 4 is not worth it. It doesn’t provide anything new that’s not present in competitor Android mobiles. retina display is highly overrated and multitasking is not some new divine feature every other mobile supports it from ages. Since the iPhone 3GS is being sold in India at 35k-16GB and 39k-32GB, legitimately by Airtel and Vodafone, I’d expect the iPhone 4 to be priced at around 35k for the 16 GB version and 39k for the 32 GB version. The no-contract, SIM-locked price of AT&T has always been the same. The only reason the iPhone 3G was released at a much lower cost (31k) is due to the lower exchange rate for the rupee/dollar at that time. With the exchange rate pretty high right now, it the iPhone 4 should be similarly priced with the iPhone 3GS. I think it would range between 30k to 35k. I think there was a no contract option for $599 and you have it to yourself. Thanks Brajeshwar…yes couple of others also pointed that out to me. I have updated the post to reflect the same….